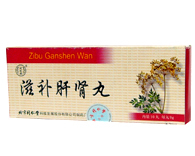 Danqi Pian to regulate menstruation. Contains 36 tablets. Take 3-5 tablets per time, 3 times per day. Function and Indication: Promoting blood flow, removing blood stasis. Indicate for stagnation of QI and blood, paralysis and pain in the heart and chest, dizzy, headache, abdominal pain in menstruation.